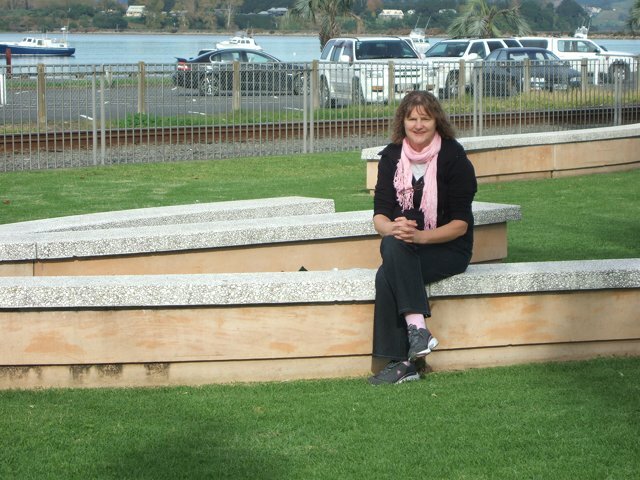 Aurora_b's Web Diary - Tauranga v Auckland - and Rain! Title: Tauranga v Auckland - and Rain! Having returned to Tauranga from our mini tour of Rotorua and the Tongariro National Park, we made the decision to stay here and leave the boat here when we return to the UK in the summer for Jonathan's wedding, rather than go on to Auckland and leave it there. 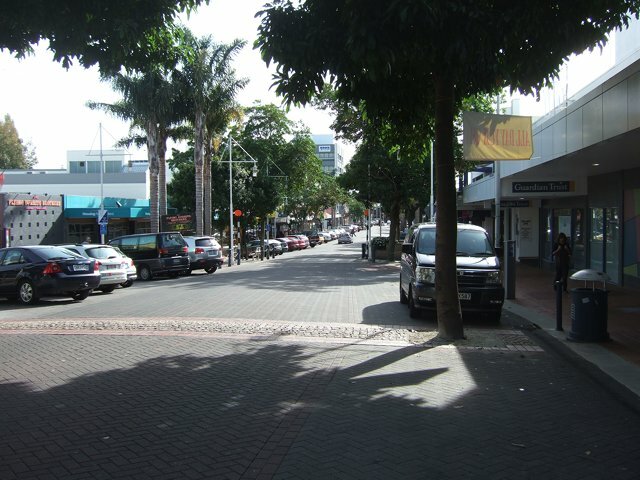 Tauranga is the size of an average UK town (but a city in New Zealand terms) and we can walk into the shopping centre in 30 minutes. In Auckland, the marina that has berths available is actually 40 minutes drive from the city centre, so not so convenient. 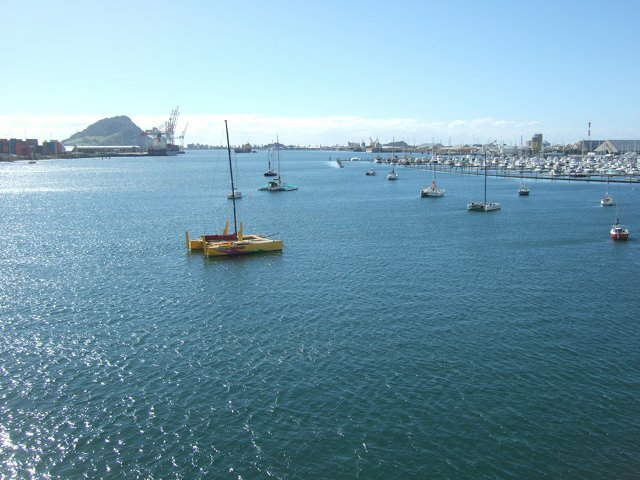 There seems to be a reasonable number of boating services around Tauranga - mechanics, a sailmaker, rigger, stainless steel fabricators, electronics specialist and 3 chandleries (that we've found so far) - so plenty of places to spend money! The locals are all very friendly and the owner of the small boatyard next to the marina where the boat will be lifted ashore has offered to keep an eye on her while we're away. The marina we're in is actually quite big, 500 or so boats, but they all leave their boats in the water all year. It's back-to-front, or upside down, compared to the UK as in all the marinas in New Zealand it's quite a bit more expensive to have a boat out of the water on the hard than it is to keep it in the water in a marina berth. As a consequence all the onshore hard-standing yards tend to be small. The one here only has space for 30-40 boats. 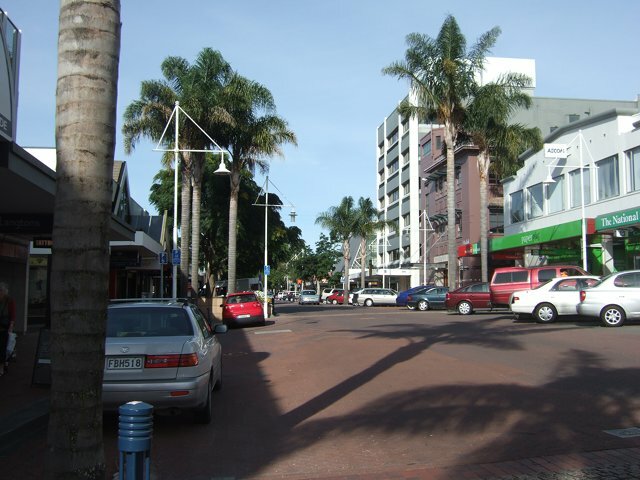 Having decided to stay here, it was necessary to hire a car to take the liferaft and other gear to Auckland for servicing. It included our wind generator as it has a fault and the service agent is also in Auckland. It's normally about a 2 1/2 hour drive to Auckland and we decided to stay over and drive back the next day, taking the opportunity to see some of the city. Having agreed to meet people, the date was fixed - a big mistake as our luck with the weather deserted us completely. It rained solidly both days - real heavy stuff that made driving very unpleasant. Every big lorry coming the other way threw a wave of water over the car. It was like being back at sea! As a result it took a lot longer and we needed the second day to complete the drop off of all the equipment we'd taken. Sky City, the tallest building in the Southern Hemisphere, was also in our plans, but the observation areas were hidden in the clouds, so there didn't seem much point; perhaps another day. So no pictures of Auckland yet. Talking of rain, we also had the wettest Easter either of us can remember. It started raining on the Thursday before Easter and didn't stop until the following Wednesday - we now have an expensive dehumidifier! 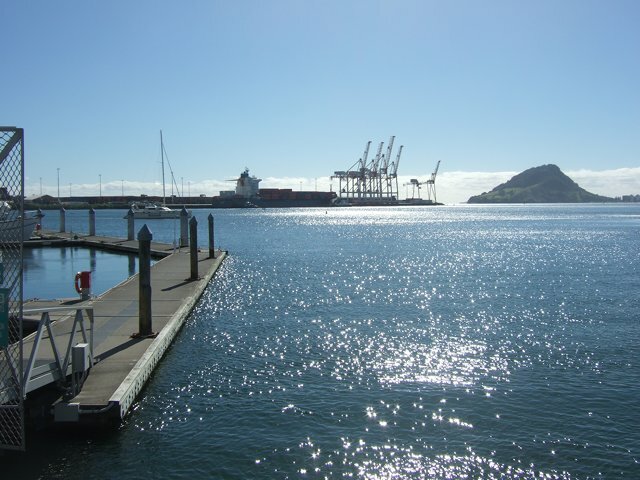 A view from the marina of the Tauranga port entrance - between the hill and the first crane to the left of it. The entrance is quite a bit bigger than it looks as the channel turns to the left and opens out. The cranes are for the container port and there's a large container ship alongside in the picture. 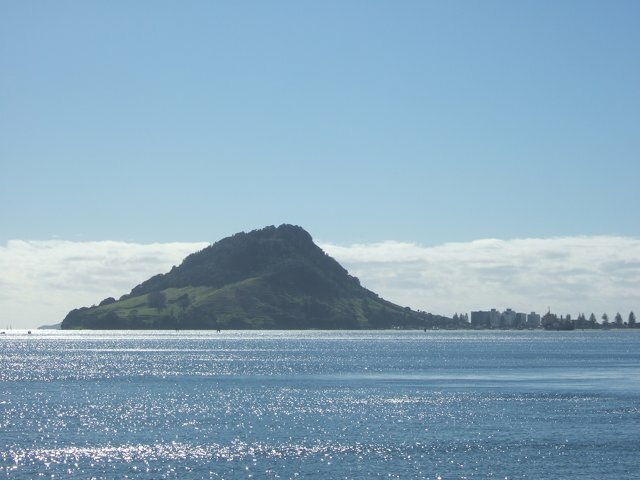 The main port, which is the biggest we've seen in NZ, is opposite and out of the picture on the right-hand side.The hill is Mount Maunganui and there's a reasonably large town to the right of it, also called Mount Maunganui. 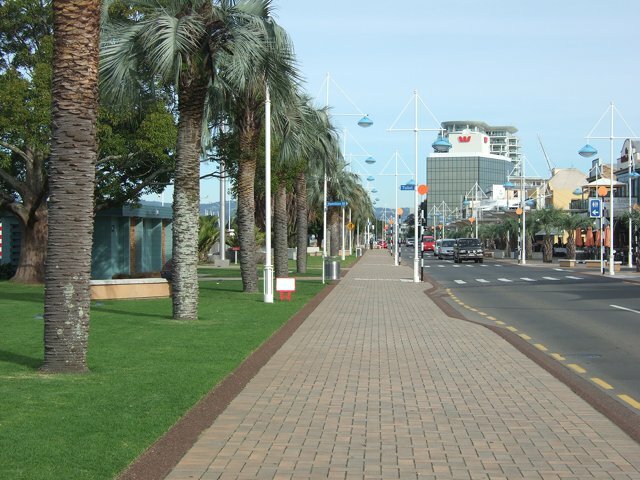 Compared with Mount Maunganui at 750ft high, the high-rise buildings look small. 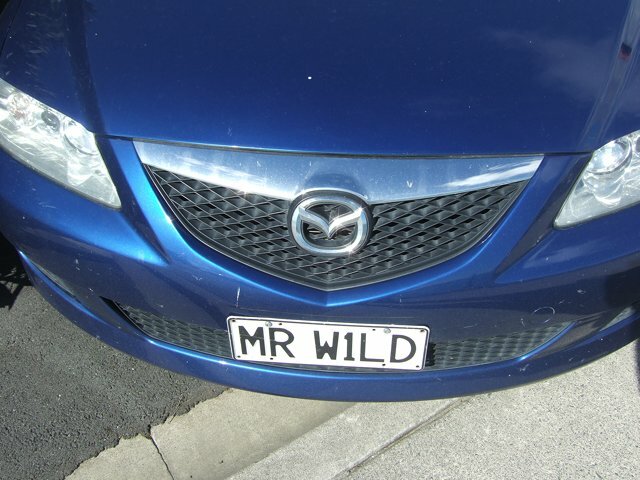 They have personalized number plates here too! 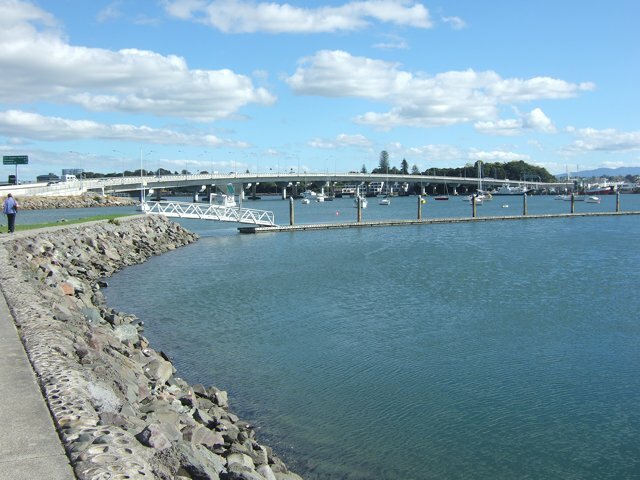 The Tauranga bridge over the tidal river we have to cross when going to town. Taken from the bridge, with the marina we're in on the right. 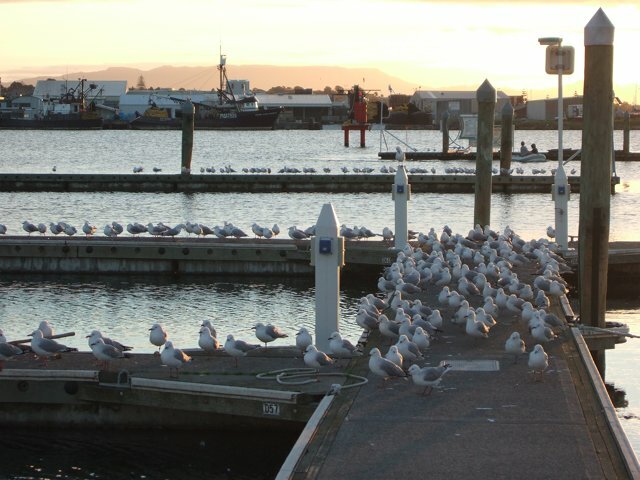 There are no gulls in the Pacific islands, but no shortage here! 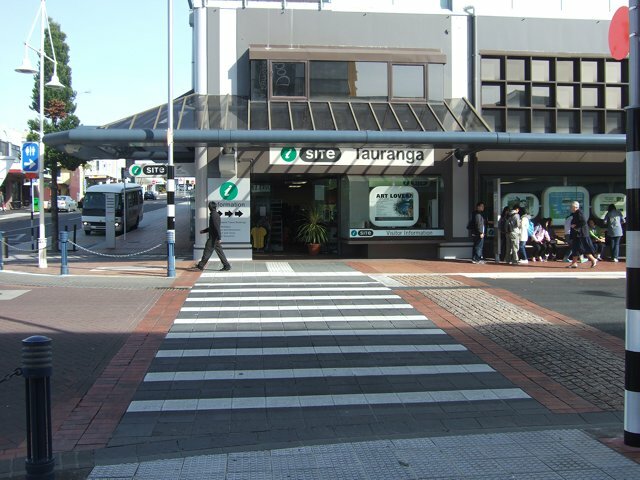 Tauranga i-Site - the excellent tourist information centre that every town and many villages have. Above and below, shopping streets in town. but it only carries freight and only seems to run at night. 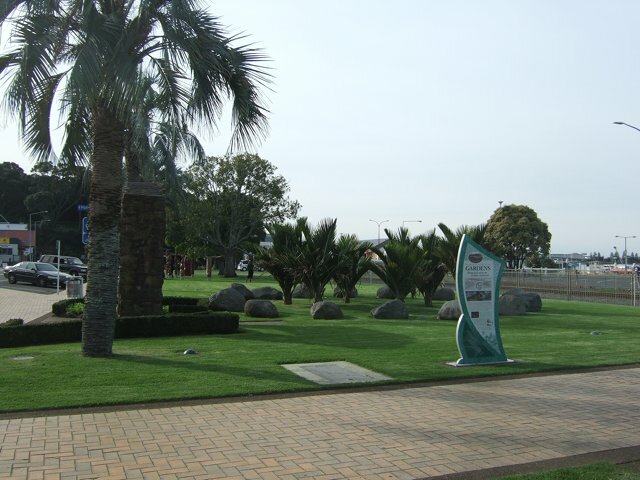 The park between the shops and the river.